“A market in prototype neighbourhoods”. but I can’t remember how to spell it. Car Trouble: And How to Fix It from Carfree Cities on Vimeo. I don’t drive and hate the noise and filth from traffic. I like living in towns, where I can ride my bike or walk. I like more-or-less traffic free cities. 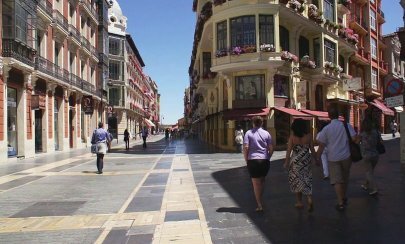 I believe many others do too but the only examples of car free cities are now anachronisms. Venice for example is a hang-over from the past. However, my informal over-a-glass-of-red-wine surveys suggest eight out of ten people would prefer to live in traffic-free Venice rather than Los Angeles or Milton Keynes. If many people prefer a Venice-like lifestyle with pleasant urban spaces and facilities, why is Venice the only well known example of a car-free city? Where are the other cities for people like me to live in? My explanation is that the canals of Venice have protected it from the motor car. They have been Venice’s immune system. The aim of the association is to promote research and discussion into economic and legal mechanisms (such as rents, service payments and covenants) which may be used to improve the quality of our environment. Existing examples of such mechanism are the covenants against keeping pigs which are found in the deeds of small terraced houses or the service payments made by the residents of service flats. Such mechanisms could be of great value in allowing a wider variation in the type of local environment that can remain economically and socially viable. This would not only give a greater range of choice but would also allow the experimentation necessary to find those forms of local environment best suited to the future. Motor vehicles require large amounts of space for storage and movement. Because of their impact on the surrounding environment, this space must be carefully planned. This planning becomes rapidly more difficult as the number of vehicles increases. Many neighbourhoods still exist which were designed for a low level of vehicle use. Typically they will consist of streets of two or three storey terraced housing often found in the inner areas of towns. Good examples provide excellent housing with many more local services and better public transport than more modern neighbourhoods planned for higher vehicle use. In stress areas they cope with vandalism and other social problems far better than their modern counterparts designed for higher vehicle use, possibly because of their simpler layout. These neighbourhoods are particularly valuable for people without the use of a car. A given neighbourhood has a limited capacity for absorbing traffic. Once this capacity has been determined it represents a fixed resource of the neighbourhood. As such it should be rented out and the revenue used for the benefit of the neighbourhood as a whole by, say, helping to pay the rates or subsidising local facilities. Lunch in Venice from Carfree Cities on Vimeo. To avoid climate disaster, most of the world’s population must not live as the affluent in the richest nations do now. We must all live in a way that results in very low greenhouse gas emissions. The ideas in RSPCO News may be helpful. Its proposed financial and legal additions to the design of settlements were aimed at resisting the infection of mass motor car transport and produce neighbourhoods that worked well for residents that don’t own cars. Car-free neighbourhoods are a starting point for low carbon living but the problem isn’t cars, planes, bricks and steel per se. It is carbon emissions: The moans of non-motorists like me, who argue for car-free neighbourhoods and cities are small compared to the end of most life on Earth. A carbon price is necessary to move our societies to low-carbon lifestyles. However, if a really high price became necessary, how would life change? What ways of living would a market economy serve up? Some forethought might help so the world can have design templates to draw on. This means constructing prototype settlements, with the measure of success being low carbon emissions. At a guess these would have few cars, substantial production of food for local consumption and low embodied carbon in the buildings and infrastructure. The residents would be constrained to have low carbon footprints through the carbon price mechanism. …beginning with the fact that often users and analysts really don’t know what a system should do until they get the chance to play with it, coders operate on specifications which may not lead to a desired result and the project can be way down the road to development before people realize it should have been done differently. The lesson from the above for low-carbon prototype settlements is that there should be government funding but with the simple specification that they should be low-carbon and, if possible, places that residents can buy into. Carbon price should probably be very high: $1000? As to a carbon prices, it probably needs to be much greater than economist suggest, which are starting at a few tens of dollars and reach a few hundreds per tonne of CO2e emitted. However when I attended the Westminster Carbon Counting Conference in 2008, speakers indicated that to make enough difference in the construction industry, a carbon price would need to approach £2000 ($3000) a tonne of CO2e. That seemed a high then but if a new house in the UK has embodied carbon of about 100 tonnes CO2e, £1000 a tonne CO2e might only add 30% to the price. Given the uncertain effects of a carbon price, an empirical approach might be best: Start with $100 a tonne CO2e now and increase this by $100 a tonne until the climate looks safe. My guess is that safety might be about the $1000 a tonne CO2e that Hansen once suggested – if Timothy Worstall has reported this correctly. But taking a lesson from the LSE conference, government should invest in innovations that allow the development of low carbon lifestyles, with different prices for carbon emissions: e.g. $500, $1000, $2000 per tonne. Desk analysis and theory must be a start for constructing new prototype settlements but this must be supplemented by practical examples: the problem is too wicked and messy for theory alone, which cannot foresee the innovative skills of good designers. The simplest requirement is that the residents should have have low carbon footprints encouraged by a large carbon price: As a condition of living in the settlement residents would pay a tax (or fee) according to the greenhouse gas emissions they cause. Within the neighbourhood, this will mean that consumption of high-carbon goods and services attracts a higher tax payable by the consumer. Rental of properties will include payments for the embodied carbon in the buildings. What should happen to this local carbon tax revenue? An obvious solution would be to adopt a local version of Hansen’s Carbon Fee with Dividend so that the whole of the revenue will be returned to every resident in equal shares. If all residents had equal emissions, no one will be better or worse off: The tax they pay will equal the dividend they get. Where emissions vary between residents, those with higher than average footprints will be losers those with lower than average will gain. A holiday flight to Mexico for one resident will mean an increased tax for that resident – and increased dividends for the rest. The transfer of income from the higher emitters gives low emitters unearned income. This enables them to maintain a standard of living with less earnings from working and have jobs within the neighbourhood at lower wage rates. This is a local realisation of the issues discussed in The job apocalypse and climate change/. This suggests that, if growth is constrained by climate change, jobs must be created by reducing wages. For a decent society this requires all citizens – not just the owners of capital assets – have income which isn’t earned as wages. The application of cheaper labour to local activities can create jobs that make life pleasanter, e.g. with more labour for care of the neighbourhood and more security with additional local policing. Locally produced goods also become cheaper. This may be important for food security: Lowering the cost of local labour favours the local horticulture can be increased and food from foreign agriculture can be decreased. Horticulture has the highest labour requirements in terms of number of regular workers per holding but is more productive for a given area of land. These prototype settlements can attract residents. Many would love to get away from the expense, rush and pollution of “modern living” just as train passengers in the UK voted with their feet when they were able to separate themselves from the smokers. The first line of inquiry might be to design and build a neighbourhood with few cars, substantial production of food for local consumption where the buildings had low embodied carbon. The current urbanisation story, that most people will move into cities, must be questioned. If it is in the carbon intensive way they are built now, it will be a disaster. What do we mean by “city” anyway … Venice or LA? Recovering from Disruption: A Comprehensive Approach to Building a Better, More Sustainable World from Carfree Cities on Vimeo. Chis Kirk on LA Traffic from Travis Mathew on Vimeo.